The two-minute official trailer for Queen biopic Bohemian Rhapsody gives us an extended taste and feel for what is in store for the viewer watching the legendary band’s meteoric ascent to superstardom, Mercury facing an AIDS diagnosis, and the band giving – inarguably – one of the single greatest performances in the history of rock and roll. 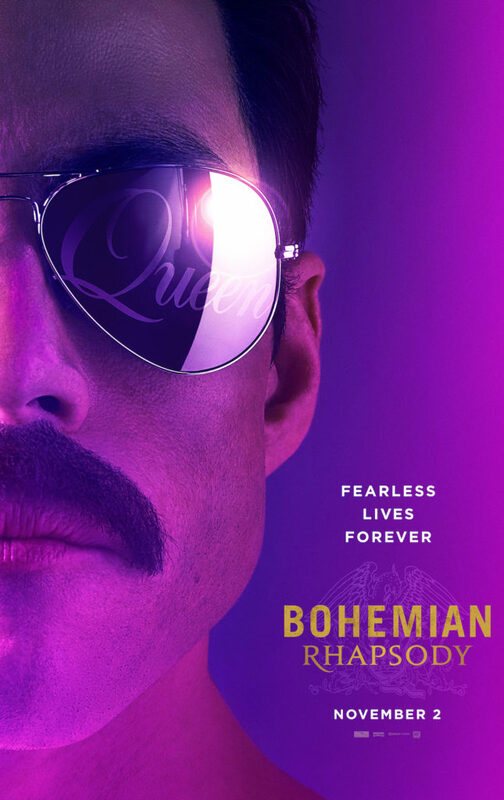 Starring Rami Malek (Freddie Mercury), Lucy Boynton (Mary Austin), Gwilym Lee (Brian May), Ben Hardy (Roger Taylor), Joseph Mazzello (John Deacon), Aidan Gillen (John Reid), Tom Hollander (Jum Beach), and Mike Myers (Ray Foster), the stage is set to bring the outsized glorious extraordinary that was, is and will always be Freddie Mercury and Queen to the big screen. Quite apropos, don’t you think? Bohemian Rhapsody arrives in theaters on November 2, 2018.